Don’t try to match other decorations with your cake instead choose the cake that fits your venue style, appearance, season, and menu. To make it easy, you can create a mood board with the pictures of cake you like the most, your wedding color palette and other elements. Be sure to choose the accurate size of wedding cake that can be served easily to your guests. Generally, the three tiers of cake can serve between 50 to 100 guests easily while 5 layers are enough for 200 guests. You may know many bakers nearby you. 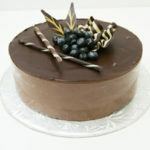 But, choosing the one who can provide custom cake services will be best for you. In fact, you can go online and find your choice baker. 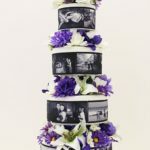 It saves your time and money as well as help in better decision making with visual pictures of wedding cakes. Moreover, your research will complete when you find your flavor cake. Your choice cake frosting and design along with your favorite flavor will make your event more enjoyable. 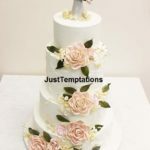 So, if you are looking for a wedding cake, you can reach Just Temptations. You only need to make an order for your choice cake, we ensure to deliver it to your desired location at the scheduled time.